How did Venezuela get into such deep debt? Venezuela's cash crisis just got worse. New money was supposed to arrive Thursday so that Venezuelans could swap their old cash for new bills and coins. On Sunday, Venezuela's President, Nicolas Maduro, said in a radio address that he would give people 72 hours to exchange their 100 bolivar notes for coins of the same face value. The announcement came just a week after the country said it will replace the 100 bolivar note with six other bills, worth between 500 and 20,000 bolivars, starting December 15. The government-set deadline is here. But the new bills haven't arrived at many banks and ATMs even as Venezuelans are standing in endless lines waiting to exchange or deposit their cash. 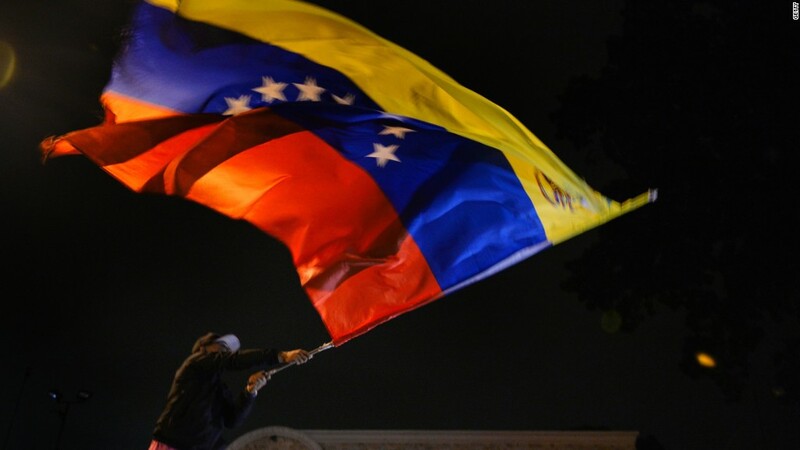 The pandemonium epitomizes the deep economic chaos Venezuela currently faces. The currency has crashed and inflation has skyrocketed. Venezuelans now need to carry stacks of cash just to buy food and medicine, which are already in short supply. "Nobody has the new bills...Nobody," says Alejandro, a 24-year old who lives in Maracaibo, Venezuela. Alejandro, who requested CNN not use his full name, said the shops he visited Thursday didn't have the new cash. "With the 100 bolivar bill, nobody can pay for anything." Some Venezuelans reported on social media Thursday that ATM's from the state-run Banco de Venezuela were still dispensing 100 bolivar notes. Central bank President Nelson Merentes said the bills will arrive in the country and be distributed in a "progressive manner" to banks, a spokesperson told CNNMoney, without providing more specific details on timing. Crane Currency in Boston, which Bloomberg reported is printing the new bills, declined to comment. Opposition leaders in Venezuela derided Maduro's decision to take the 100 bolivar note out of circulation, arguing more serious steps needed to be taken. "We need to defend our local currency by lowering our fiscal deficit and inflation, not by withdrawing bills from circulation," Congressman Jose Guerra said during National Assembly session earlier this week. The government decided to print the higher value bills to keep up with inflation. Amid skyrocketing inflation, Venezuelans paid for goods by weighing stacks of cash instead of counting bills. The IMF forecasts inflation in Venezuela to rise 470% this year and 1660% next year. In November alone, its currency, the bolivar, lost about 55% of its value. Venezuela's largest bill, the 100 bolivar note, is currently worth 2 cents on the popular, unofficial exchange rate. "If (the government) doesn't resolve the economy's serious inflation problem...those [new] bills are going to be insufficient," says Asdrubal Oliveros, director of Eco Analitica, a research group in Venezuela. On Monday, Maduro closed the border with Colombia for 72 hours to prevent anyone from going across the border to exchange or spend money. It's not immediately clear if the border will reopen Thursday night. Although Maduro's socialist government advocates policies for the country's poor, experts say low-income Venezuelans will be most affected by the cash crisis because many don't have bank accounts and live entirely on cash. "It's going to have a significant, negative short-term impact on the lower-income population," says Siobhan Morden head of Latin America fixed income strategy at Nomura Holdings. "The economy did not need another negative shock." -- Osmary Hernandez reported from Caracas. Flora Charner reported from Rio de Janeiro. Patrick Gillespie reported from York.